I had the opportunity of representing Cannon Travel at Paradise Wildlife Park. I must say it was great fun with lots of excited brides (and grooms) to be, accompanied by their friends and family. The event was very well planned with a wide selection of businesses in attendance offering their services, advice and suggestions. 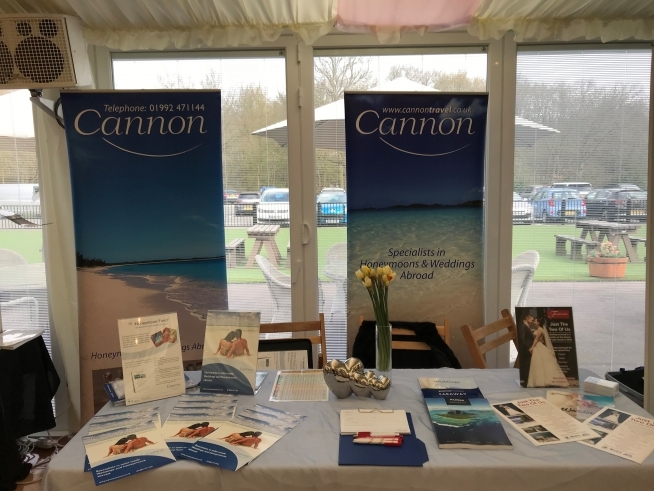 On the Cannon stand I had a regular flow of excited brides to be looking for ideas and suggestions and soon realising that it is never too early to start planning and find the perfect honeymoon. With the honeymoon being their once in a lifetime experience many appreciated that the “Safari Lodge” of their dreams or the “ultra-luxury suite overlooking the crystal waters of the Indian Ocean” sell out months, sometimes years in advance. There was a tremendous appreciation of our “Wedding List” concept whereby friends and family could contribute to the honeymoon as a wedding gift. This extremely popular gift gives the Bride & Groom a lump sum to spend on their honeymoon knowing this is something the happy couple truly appreciate. If you are looking for ideas, information or perhaps even to book you Honeymoon, give us a call or drop us an email and we would be pleased to assist you on your special holiday.